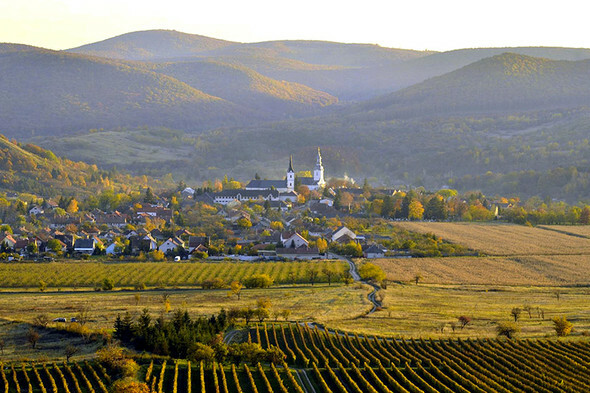 Mád, the village located in the Tokaj-Hegyalja wine region famous for the Protected Designation of Origin, is the engine and financial centre of the region and is often discussed nowadays. However, the area has another, less well-known side worth discovering. Come with us to learn about the ‘hipster’ Erdőbénye. Finding geopolitical reasons is far from our original intentions but it is a fact that those arriving at the wine region from the direction of Miskolc, first drive across Szerencs (it would be worthwhile to analyze why nobody stops and has a look around Legyesbénye, Bekecs or Szerencs) and if they do not park immediately at the first roundabout at the Sárga Borház (Yellow Wine House) Restaurant and the wonderful Disznókő estate situated beyond, then the next stop is most probably Mád or Tarcal. 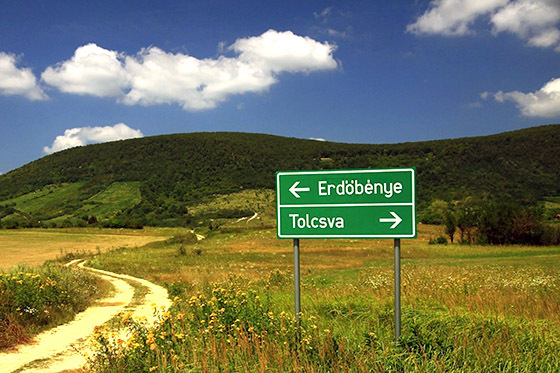 Those coming from the direction of Nyíregyháza arrive in Tokaj in the first place with either Tarcal or Bodrogkeresztúr being their destination, so these villages welcome the most visitors. Then there is also Sárospatak and Sátoraljaújhely which are the largest towns of the area so people rarely take a turn towards the mountains off the main road. Erdőbénye, however, does not lie along the main road, nor is it located along the Bodrog river; it is to be found among the mountains hidden behind the Mulató Mount, protected from prying eyes. This means that the beauty of this village is revealed only for those who get really close to its centre. If Mád is all about wealth, fame, success and of course, money (not that there is anything wrong with that), Erdőbénye is at the other extreme. 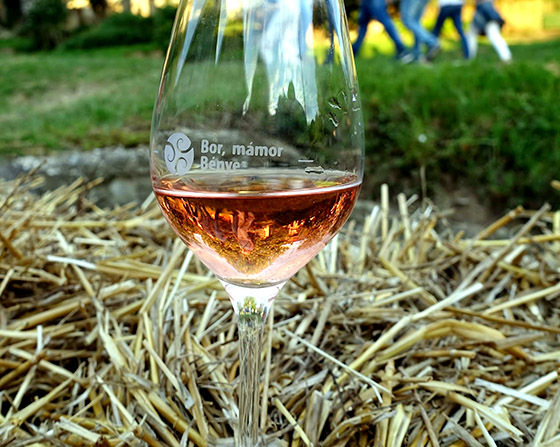 Here you can find peace and quiet, enjoy philosophical talks and long silences, sparkling, elegant, dry wines and wineries in tiny shadowy gardens. The village itself is an old market town of the Hegyalja region and has been of significance since its foundation; and not only due to its location and not only in terms of winemaking. Its woods have always provided the perfect raw material for barrel-making and there was a time when hundreds of coopers were busy working in the village. The fan-shaped vineyards are typically situated at higher grounds around Bénye and dry, rather than sweet grapes are grown here. As we turn off road 37, first we can see the vineyards on both sides before entering the forest. A road to the left takes us to the bathhouse of Ödön Szirmay built in 1830 and functioning as a castle hotel today. When you arrive in Bénye, it does not strike you at once how wonderful a place it is. The road winds alongside the brook lined by simple and small farmhouses on both sides. However, when we reach the bridge and turn right to drive across the brook, we reach the new part of the village. This is where it becomes obvious that in the Middle Ages Erdőbénye was originally two separate villages: Mezőbénye and Egyházasbénye. The beautifully renovated Budaházy-Fekete Mansion by the bridge acts as a reminder that we must keep our eyes open. When we turn in Kossuth út (or Hunyadi utca running parallel) and start our ascending journey, one by one the wonderful trade houses appear before us. Take your time to have a close look around. In one of the buildings, a well-known historian makes his wines, while in another a former journalist does the same. One winery used to house the mashgiach, while another is a cooper’s old home renovated. In one garden you may hear voices discussing Nietzsche and Kierkegaard, while the young Kazimir Malevich and Hugó Scheiber’s sketching is the topic in a kitchen. 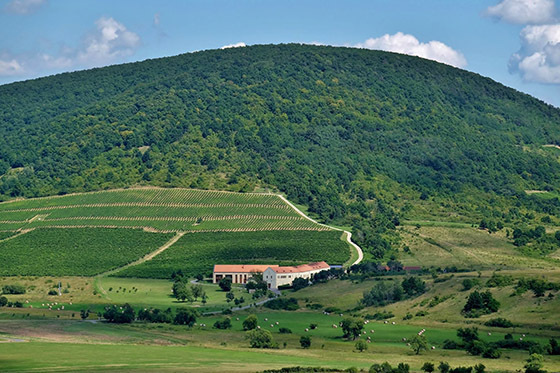 Erdőbénye is without doubt the most intellectual village in the area where we can talk about winemakers but wine seemed more of a medium to something more significant; to people, knowledge and the exchange of ideas.